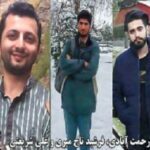 HRANA News Agency – Majid Rahmat Abadi and Farshid Tajmiri, two students who had been detained in the recent protests, were released on the bail from Hamedan Prison. Ali Shariati, political prisoner, was also released on parole after serving three years of his 5-year imprisonment. 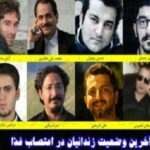 HRANA News Agency – Eight political prisoners in Evin prison of Tehran, Rajai Shahr prison in Karaj and central prison of Tabriz have gone on hunger strike. Their condition is reported critical. Vahid Sayadi Nasir, Arash Sadeghi, Ali Shariati and Amir (Ali) Amirgholi all in Evin Prison and Morteza Moradpour in Central Prison of Tabriz. And also Foad Rezazadeh has gone on hunger strike in Rajae Shahr prison in Karaj. On the other hand, Mohammad Ali Taheri’s wife, announced the hunger strike of her husband in interview with HRANA until his freedom. Mehdi Rajabian who was on hunger strike and was released on furlough, is suffering severely from the consequences of this strike. All this while Siamak Mirzaee announced his decision to go on hunger strike. HRANA News Agency – On November 13, Ali Shariati, political prisoner in Evin was taken to a hospital on the fourteenth day of his hunger strike, but he refused a serum injection, then he was returned to the prison. 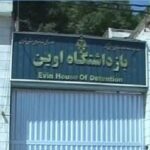 HRANA News Agency – While physical condition of prisoners on hunger strike is becoming critical, Evin prison authorities increased pressure on these prisoners. Arash Sadeghi was threatened to be transferred to ward number 4 on day 24th of his strike. Mahdi and Hossain Rajabian were transferred to ward number 4 on the 20th day of their strike. Meanwhile there is no information about Ali Shariati on the 17th day of his strike. It is reported that Amir (Ali) Amirgholi started hunger strike in protest to being injured by a foreign prisoner and lack of life safety in ward number 8. Sabri Hasanpoor who was transferred to Evin clinic following his heart attack, has been transferred to ward number 4 as a punishment of signing the support letter of prisoners on strike, and started a strike and refused to take his medicine. Vahid Sayadi Nasiri who was transferred to prison clinic on the 32nd day of his strike, refused to receive serum. 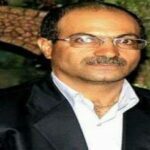 HRANA News Agency – While Rasoul Razavi has announced that he has ended his hunger strike, on the forty-fourth day by a short messages, in the central prison of Karaj, Vahid Sayadi Nassiri has been transferred to solitary confinement on the thirty first day of his hunger strike, the left kidney of Hossein Rajabian has been infected and Ali Shariati was taken to a hospital. A number of other political prisoners still continue on their hunger strike. 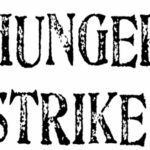 HRANA News Agency – 7 political prisoners are on hunger strike with different demands, in different prisons. General health condition of some of these prisoners is reported to be bad. Rasoul Razavi and Morteza Moradpoor are respectively on the 40th and 13th day of hunger strike and have been exiled to central prison of Karaj and deprived of having phone call. In Evin prison, Vahid Sayadi, Arash Sadeghi, two artist brothers Mehdi and Hossain Rajabian, and Ali Shariati are respectively on the 28th, 20th, 16th, and 13th day of hunger strike. This is while prison authorities lunched a session and threatened prisoners on the strike. 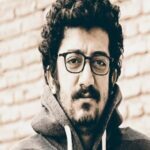 Mehdi Rajabian has been transferred to a hospital again for stomach bleeding. Vahid Sayadi was transferred to ward number 4 by prison guards. Hossain Alimohammadi, political prisoner in Tabriz prison, ended his strike after he accomplished his goal. Still there is no information about the fate of Mohammad Ali Taheri, who was reported to be on hunger strike. 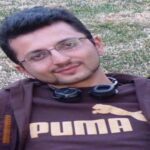 HRANA News Agency – Mehdi Rajabian, imprisoned artist in Evin prison, was transferred to a hospital following stomach bleeding resulted from hunger strike. In another news, security authorities of this prison, has threatened prisoners on hunger strike and prisoners who signed the letter in support of these prisoners. HRANA News Agency – 9 political prisoners in Evin, Tabriz and Rajaei Shahr prisons, are on hunger strike since 5 to 30 days ago. The health condition of some of them have been reported to be very bad. From three political prisoners in Tabriz prison, Rasoul Razavi and Morteza Moradpoor have been transferred to Rajaei Shahr prison. Hossain Alimohammadi who is kept still in central prison of Tabriz. 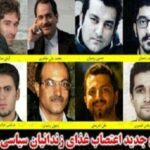 In Evin prison, Vahid Sayadi, Arash Sadeghi, Mehdi and Hossain Rajabian and Ali Shariati are on hunger strike. On the other hand, Mohammadali Taheri’ had been in hunger strike since more than a month ago, but there is no information about him since then. HRANA News Agency – Ali Shariati, civil activist, was arrested by security forces and taken to an unknown location.